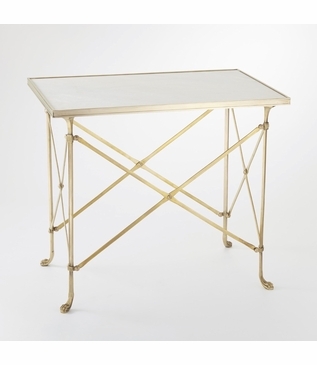 A chic, French-inspired accent table in brass with a polished white marble top. Minimal assembly is required. Requires truck delivery. 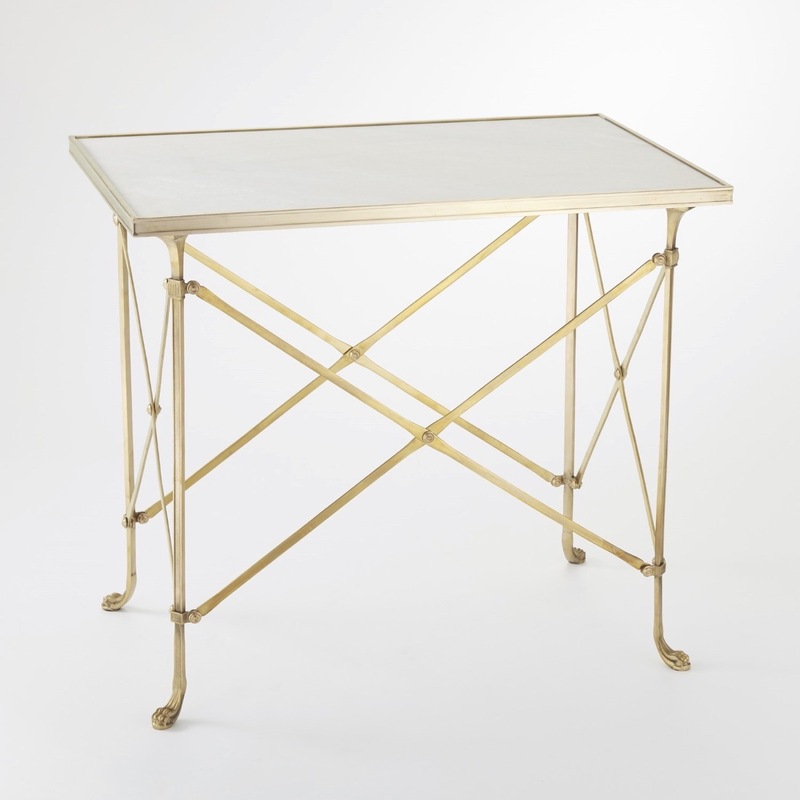 Size: H: 26.5'' • L: 30.25" • W: 19.25"